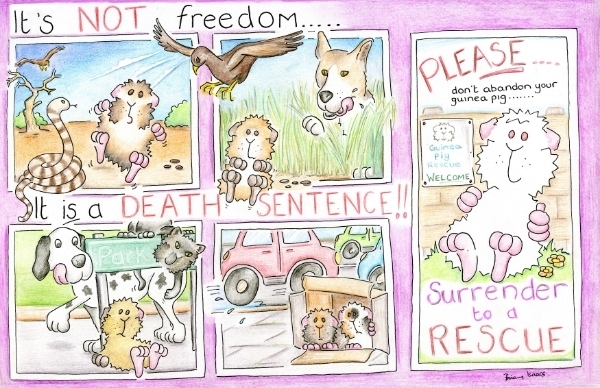 This picture has just been done as part of a rescue campaign in Australia to highlight the problems of dumpng guinea pigs, which is happening in in increasing numbers, and to encourage people to sign the 'Mirandas Law' petition. It certainly does get the message across. Good job! 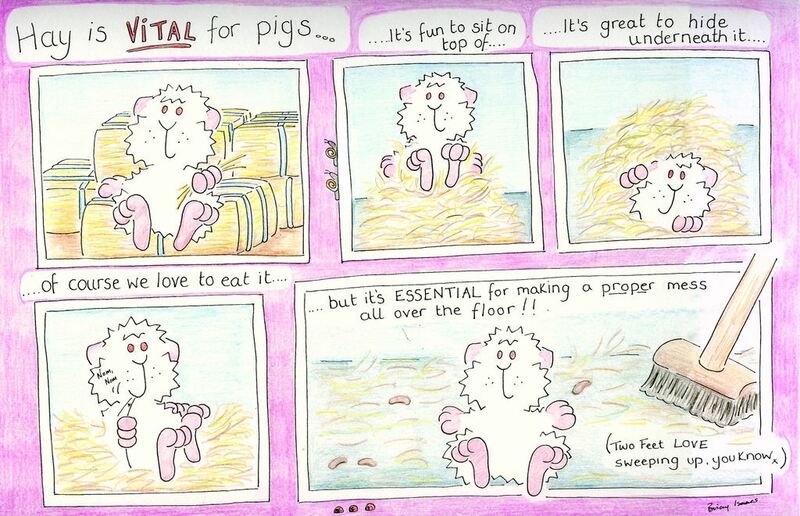 Pig Party - is this something you're sharing with other rescues as well? Or was it just "commissioned" for Austalia? jacqueline - I was asked to do it for the australian guinea pig rescue network, hence the aussie predator animals, but it is for sharing anywhere - if you are on facebook it's on www.facebook.com/parsleypig, or I can email copies to folks. Feel free to share anywhere!! So generous Pig party- thanks!! 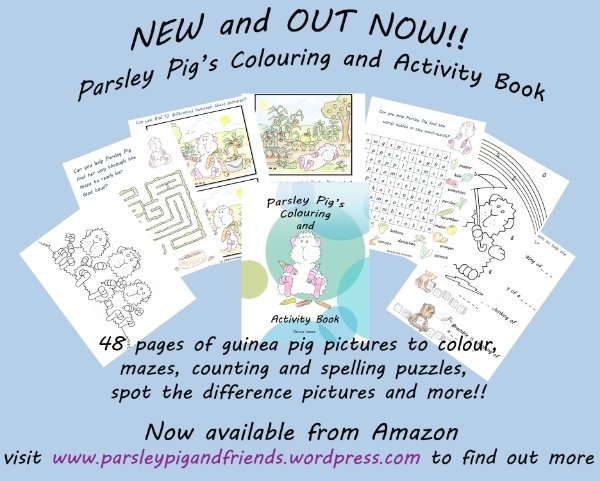 Copies will also be available real soon from The Guinea Pig Store (Canada) &#8211; www.theguineapigstore.ca &#8211; with profits from book sales going to &#8216;Piggles Guinea Pig Rescue&#8217; &#8211; how wheeking great is that!! Hope you have fun with it, Two Feet. Added this pic permanently too! I used my nieces as 'guinea pigs' for testing purposes!! 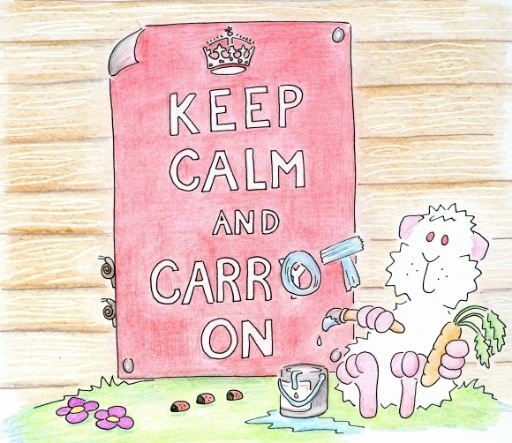 I just love your creativity and ambition and all the wonderful things you're doing for guinea pigs and rescues. You're such a good person Parsley!!! Kudos!! I always love your art! Kiss the top of Parsley Pig's head for me. 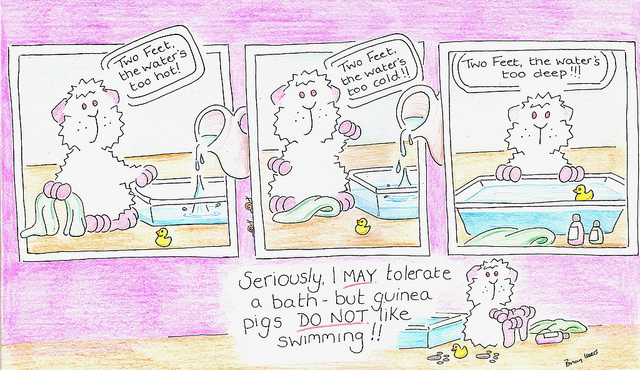 This picture was drawn in response to the video doing the rounds on facebook of guinea pigs swimming in a paddling pool. It has proved popular with folks, especially rescues, trying to get the message out that it is not a good idea. Thank you for sharing, i am definitely looking forward to reading The Adventures of Parsley Pig and Friends, i sure will pass it to my nephew who enjoys reading short stories.